Portagee Joe campground is a small Inyo county campground with 20 single-family campsites located along a creek and near the Alabama Hills at the base of the Sierra Nevada mountains. Campsites can accommodate tents, trailers and RVs (up to 40 feet). Each site also has a table, fire ring and grate. Campground amenities include drinking water and vault toilets. This is a popular area to fish four trout in the creek and enjoy spectacular star-filled skies at night. Other outdoor recreation includes hiking, mountain biking, OHVing, picnicking, horseback riding and wildlife viewing. The town of Lone Pine is nearby, with shops, restaurants and the Lone Pine Museum of Western Film. The Manzanar Japanese Internment Camp is also 10 miles to the South. 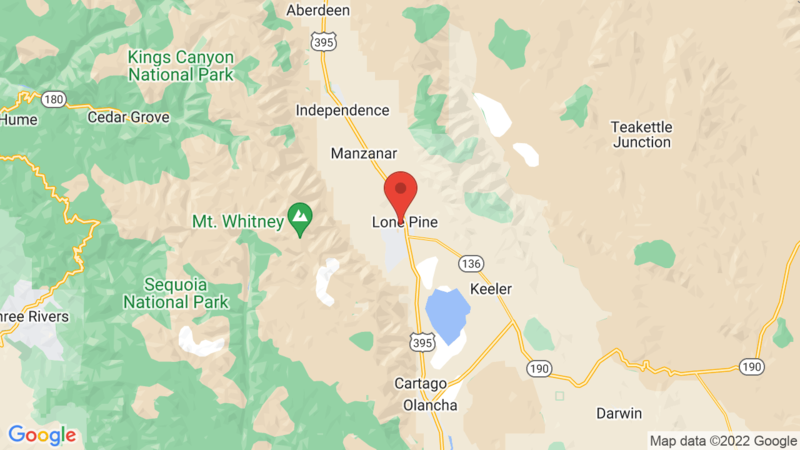 Other campgrounds in the area include Tuttle Creek, Lone Pine and Whitney Portal. Whitney Portal is also located at the trailhead to climb Mt. Whitney. Visted Portagee Joe Campground lately? We'd love to hear about your adventure. Did you find us useful? Did we forget something? Anything our community should know before heading out to Portagee Joe?